DERMAC MD DERMASHINE SKIN BOOSTERS is a procedure to rejuvenate the skin with intense hydration, and at the same time, provide the skin with essential vitamins and supplements such as vitamin C, antioxidants, hyaluronic acid, and sometimes a little Botox/Dysport. The ingredients of the DERMAC MD DERMASHINE SKIN BOOSTERS procedure are very carefully and precisely placed under the skin with micro-injections. These micro-injections are very accurate, as the depth and amount of the injections are both controlled by a machine calibrated for each individual. When placed under the skin, the effects of these ingredients last much longer than compared to serums or creams applied on the face. All these add up and work together to help achieve bouncy and luminous skin. There will be very tiny injection marks on the skin for about 2 – 3 days. These marks can hardly be seen by the 3rd day and can be easily covered up if needed. 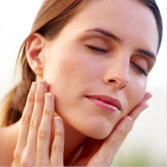 Hyaluronic acid is precisely injected just beneath the surface of the skin with a series of micro injections. This maximises its effect for skin hydration and collagen formation. 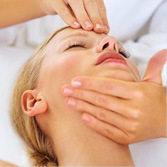 A numbing cream will be applied over the treatment area to minimise any discomfort during the procedure. Results can last for 6 months up to a year. For optimal results, it is recommended to do an initial course of 3 treatments around a month apart, and follow up treatments at 6 months and a year after. Rejuvenate the skin with intense hydration, and at the same time, provide the skin with essential vitamins and supplements. Increased muscle stiffness in elbow, wrist, and finger muscles in adults with upper limb spasticity.